Around 9 p.m. on 28 April 2017 [Friday] the Director General of the State Museum of Oriental Art (SMOA), Alexander Sedov and his colleagues, accompanied by a specialized unit with no insignia that would allow their identification, made an attempt to seize the non-governmental Museum named after Nicholas Roerich of the International Centre of the Roerichs and other buildings of the Lopoukhins estate, in which the ICR has been lawfully based since the beginning of the 1990’s, as well as to seize the preserved in the Museum Roerichs heritage. 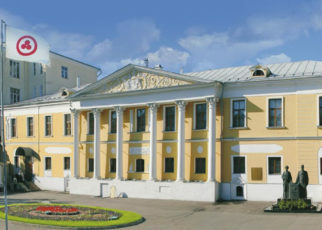 The above said specialized unit with no insignia neutralized and dismissed the Museum security guarding the Lopukhins estate territory, while the Director of SMOA Sedov could present no final court decision that has entered into force since he had decided not to wait for an appellate decision of the Arbitration court on the case of termination of the agreement for free use by the ICR of the Lopukhins estate and the eviction of the ICR therefrom. At that time the concert of the famous Bulgarian musician, Mr. Atanas Kurtev, had just ended and he found himself a witness of the attempted seizure of the non-governmental Museum. Thanks to the intervention of the local Moscow police and a called by the International Centre of the Roerichs unit of security we managed to prevent the seizure. The SMOA personnel were made to leave the Museum premises, together with the accompanying them persons with no insignia that would indicate their belonging to one of the units of the special law enforcement agencies. The museum was placed under seal and was given to the responsibility of safeguards. 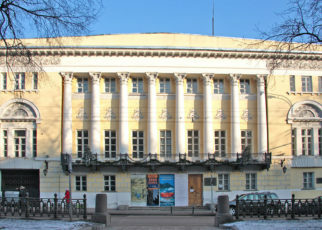 Nevertheless the mentioned above persons without insignia that acted in the interests of SMOA, had already blocked the entrances and exits to all buildings belonging to the Lopukhins estate, as they had placed there their own guards even before the Museum premises were emptied and the buildings placed under safeguarding. By doing so they deprived the ICR personnel access to their working places. The Director General of the SMOA motivated his actions by saying that he is trying to execute a court decision (that has allegedly entered into force and is final) and to compel the ICR to leave the Lopukhins estate, which has been given to the SMOA in operative management. The ICR management presented documents, which prove our organization’s right to a free use of the estate buildings. Also the ICR management reminded that the court decision, which obliges us to leave the premises and the full text of which is dated 7 April 2017, is not yet final, since the ICR is going to appeal it in the Court of Appeal in accordance with the procedure established by law. The ICR and the SMOA filed reports with the local police on what had happened including motivations for their actions and a request to conduct an inspection. Representatives of the police convinced us that until completion of the review of the filed reports and in order to ensure the safety of the possession, it would be necessary to place under seal all entrance doors to all buildings belonging to the estate, and that it would be necessary for all people to leave the territory on which would stay only four guards from both ICR and SMOA and an armed unit of the local police, which would ensure that public order is maintained. 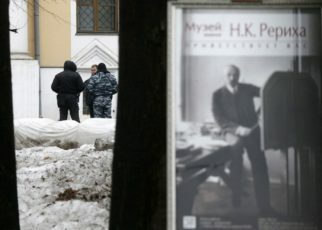 Mr. Ivan Zasurskiy, member of the Russian Federation Presidential Council for Civil Society and Human Rights found himself an involuntary witness of the raiding of the non-governmental museum by the State Museum of Oriental Arts, because he had not yet left the building after the Bulgarian Atanas Kurtev’s concert. The events in the ICR aiming at the seizure of the Lopukhins estate and the Roerich heritage also drew the attention of Mr. Mikhail Fedotov, Adviser to the President of the Russian Federation for Human Rights. On 29 April Mr. Fedotov together with Mr. Andrei Babushkin, member of the Russian Federation Presidential Council for Civil Society and Human Rights, came to the ICR, but the SMOA security let them enter the estate territory only after one hour. 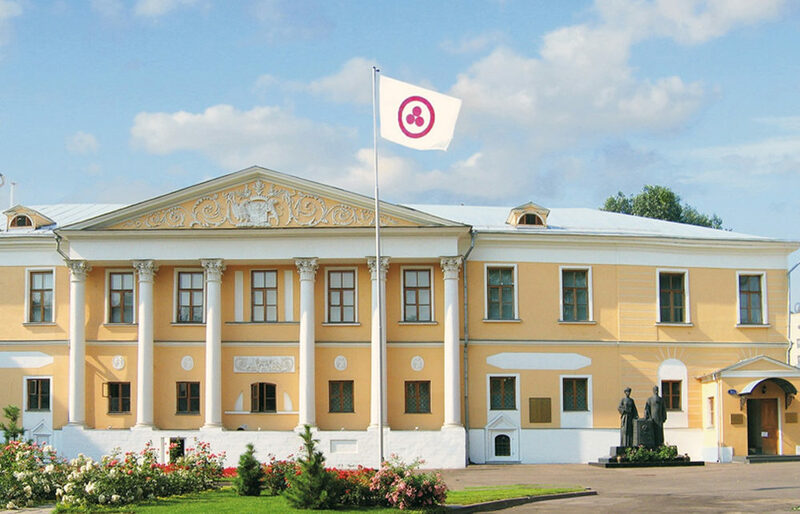 After having listened to the representatives of the ICR, the SMOA and Mr. Kirill Rybak, the Advisor of the Minister of Culture, Mr. Fedotov left the territory of the Lopukhins estate. Apparently that kind of turn of events was not included in the SMOA plan, and it relied again on the investigation team taking part in the inquest of the Master Bank case. 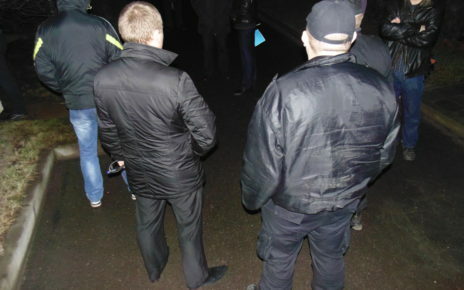 Around 7 p.m. on 29 April, cars with representatives of the said investigation team, riot police (OMON) and SMOA entered the estate territory. They commenced a search, the necessity of which was motivated with untenable circumstances that do not correspond to facts. This in turn indicates that the action was planned in haste and was formal by nature. The Vice President of International centre of the Roerichs, Mr. Alexander Stetsenko, was not permitted to be present at the search. Seizure of the accounting documentation and drawings of the Roerichs was carried out in the absence of the representatives of the ICR accounting department and responsible curators of the heritage. The investigation team took away from the ICR the keys to the Museum depositary and the Museum halls and handed them over to the SMOA. In the protocol they noted that the Lopukhins estate is being placed under the custody of the Director General of SMOA, Mr. Sedov, together with all property of the ICR and the personal belongings of the ICR personnel. Neither Act of transfer, nor any specification of the transferred property was made. All these facts attest to the real goal of the “investigation” – namely to remove all obstacles, hindering the SMOA from accessing the heritage belonging to ICR. After all, these obstacles were so unexpectedly imposed by the local police and that was not included in the plans of those who organized the seizure. So, the seizure of the Lopukhins estate and the Roerich heritage which belongs to the International Centre of the Roerichs and which is located in the estate was carried out under cover of criminal investigations on the bankruptcy of the Master Bank. In conclusion of this short chronicle of events it should be mentioned that in the night of 1 May, around 3 a.m. on the territory of the estate the representatives of the SMOA took down the Banner of Peace – the distinctive flag of the Roerich Pact, which is the first international treaty on the protection of cultural property in both peaceful times and at war. It is obvious that for the raiders, who under the cover of darkness broke in to the non-governmental Museum named after Nicholas Roerich of the ICR, the Banner became a direful reminder of their unlawful acts against the Museum, which bears the name of our great compatriot, who showed to the world the way out of the endless string of wars and armed conflicts – the way of Peace through Culture. 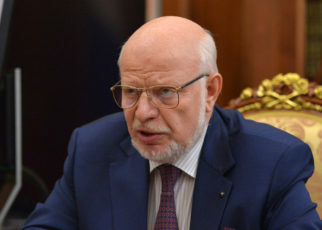 Thus the seizure of the Roerichs heritage by way of raid was accomplished, and let us remind that it started with the letter of the Minister of Culture, Mr. Vladimir Medinskiy to the President of the Russian Federation, Mr. Vladimir Putin in 2013 (in the letter the minister deceived the President as regards the true will of Svetoslav Roerich concerning the heritage that he donated to Russia); thus was also completed the seizure of the Lopukhins estate, which started in 2015 when the estate was transferred to the SMOA operative management. 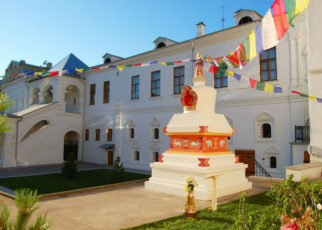 The Roerich heritage, which was transferred to Russia by Svetoslav Roerich, a citizen of India, for the purpose of creating in Moscow in the Lopukhins estate the non-governmental Museum named after Nicholas Roerich, is now illegally seized by the SMOA, which according to the will of the owner of the heritage had no right whatsoever to it. 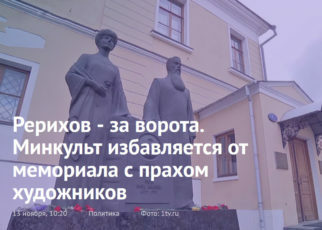 The guarantee, which the state gave to Svetoslav Roerich about the safe development of the non-governmental Museum in the Lopukhins estate, was violated. 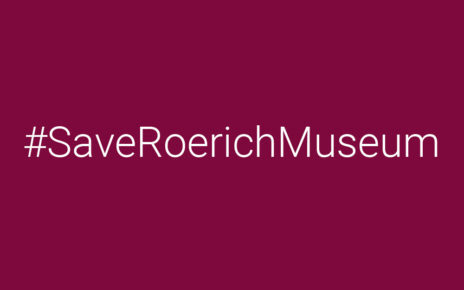 All these attest to a forced termination of the functioning of the International non-governmental organization the International Centre of the Roerichs and its non-governmental Museum, established by Svetoslav Roerich, without fair trial and without the right of defence. The further activity of the ICR to promote Nicholas Roerich’s peacemaking ideas that have won the acknowledgement of the leadership of the country and of the UN and UNESCO are under threat. Thus the Russian Federation, represented by the Minister of Culture and with the support of the law enforcement agencies, in grave violation of Russian and international law, de facto liquidated the non-governmental Museum denying us the right to defence. 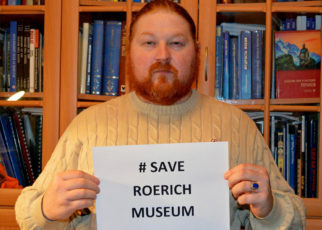 In an attempt to excuse the elimination of the NGO, the management of the Ministry of Culture, of the State Museum of Oriental Arts and of the investigative body of the Russian Federation claim, that thereby they are protecting the Roerich heritage against a possible injury caused to it by the International Centre of the Roerichs. With full responsibility the ICR declares that suchlike statements are untrue and have no foundation whatsoever. 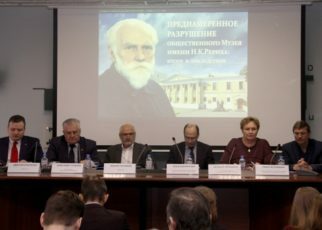 We assume that they pursue but one goal – to excuse the Russian civil servants’ long-term crimes against the Roerich heritage, which was transferred to Russia by Svetoslav Roerich, as well as against the non-governmental organization created for its safekeeping and promotion on the initiative of Svetoslav Roerich, a great figure in the world culture and citizen of India. The Roerichs gave the world the Roerich Pact, which laid the foundation of the modern legal system for the protection of the world cultural heritage and the functioning of UNESCO. 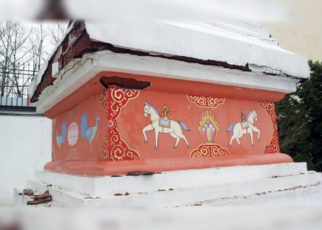 The ICR appeals to the Russian and international public, to the UN, UNESCO and everyone, who is not indifferent to the destiny of the great cultural heritage of the Roerichs, to establish an international public commission in order to investigate this crime, to revive the violated guarantees of the state to Svetoslav Roerich as well as to restore the rights of the International Centre of the Roerichs to the heritage, donated to it by Svetoslav Roerich.